Building on two years on local organizing and coalition building, the 2007 event featured the launch of the National Platform for Child Soldier Reintegration and Prevention in Colombia. The use of child soldiers and young combatants in armed insurgencies, militias and resistance movements is a staggering and growing problem in regions as diverse as The DR Congo, Sri Lanka and Colombia. Well over 300,000 young people under the age of 18 are currently fighting in wars or have recently been demobilized. At the same time, the number of children emerging from these traumatic circumstances has dramatically increased. 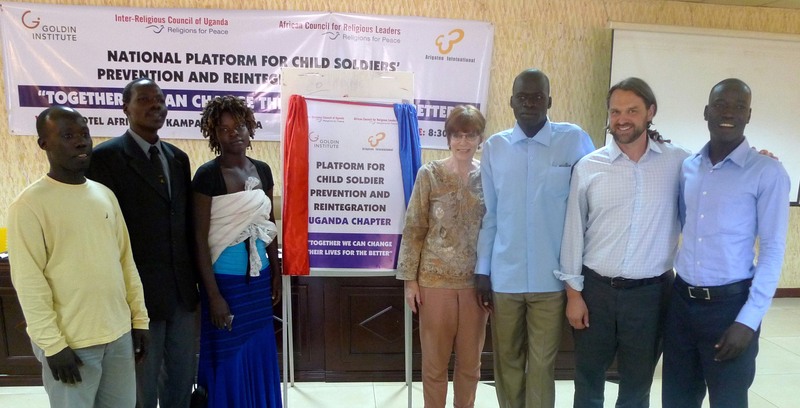 How can our communities help young combatants leave the fighting? How can former child soldiers receive the services and support they need to reintegrate into society? What are the roles and responsibilities of different sectors—education, business, government, religious communities, NGO's and others—in providing these services? How can we work together to make sure our society is ready to welcome home these former combatants? How can we work together at home and around the world to break this cycle of violence and prevent the exploitation of young people by armed groups and militias? To explore and answer these questions, the Goldin Institute partnered with the Centro Mundial de Investigacion y Capacitacion para la Solucion de Conflictos (Centro Mundial) to convene a global forum on the theme of Reintegration & Prevention: Breaking the Cycle of Violence for Ex-Combatants and Vulnerable Children and Youth. This unique gathering brought together teams of engaged leaders struggling to address these issues from over twenty cities in Bosnia and Herzegovina, Brazil, Cuba, Colombia, DR Congo, El Salvador, Haiti, Israel, Kenya, Liberia, the Philippines, Rwanda, Somalia, Tanzania, Uganda and the United States. Our Executive Director, Travis Rejman recently wrote this editorial in the Huffington Post calling for the right justice to be considered in the case against Dominic Ongwen.